This comprehensive guide explains effective approaches and presentations for steelhead and gives suggestions for fly patterns that will attract the most fish. 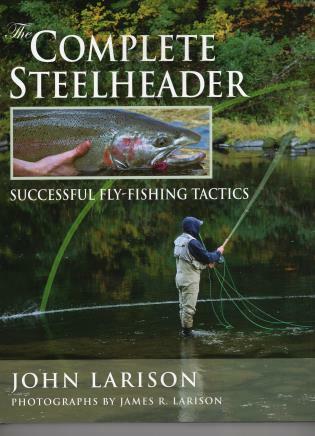 It provides an in-depth look at steelhead behavior and carefully outlines techniques commonly used by fly-fishing guides. Larison presents a different way of approaching the river, a methodology that is more aptly suited to the habits and habitat of modern steelhead. John Larison was born and raised in the heart of Oregon's steelhead country. A former guide and fly-fishing instructor, his writing has appeared in Gray's Sporting Journal, Fly Rod and Reel, American Angler, Fly Fishing and Tying Journal, Salmon and Steelhead Journal, and Fly Fisherman--where he serves as the Northwest Field Editor. He lives with his wife, Ellie Rose, in the Willamette Valley.